It’s the last school week of June. Things are still happening at the speed of learning, of course. Final assessments are in the books and reports are printed. Students are buzzing, bristling, and bursting with energy like they’ve been equipped with new solar panels from TESLA to absorb the energy of sunny days. By this month’s end my school will have hosted an evening fun fair, a talent show, track and field day(s), a graduation, a TED Ed event, a play day, and a year end celebration. Despite June being the month with the longest days, it still feels there is not enough daylight to get everything done. In addition to the above, we have curated, collated, crafted, and corrected our report card comments. Many of us are moving classrooms within the building or to new schools. Boxes are packed and rooms are returning to their neutral states, void of anchor charts, memes, inspirational quotes, and student work. 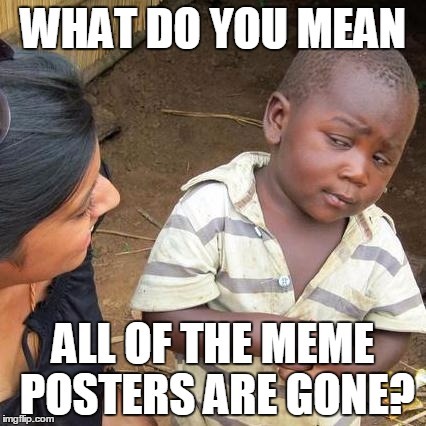 The memes are gone too. With so much happening around a school, it might be easy to let things slide with free time or busy work. Popping in a movie in order buy a little packing time is tempting, but it is also a great time to engage in some real world learning. These lessons are meant to inform students in the area of financial, social, and life literacy as well as teaching them to be reasonable, realistic, and responsible consumers in our society. The lessons spark curiosity, comments, and conversations that lead to deeper understandings about a world of responsibility out there. I’ve discovered that whenever students engage with activities like these, they are the ones that are remembered most. Most of the lessons will fade into the recesses of the mind, but the skills, the discoveries, and the “A-ha” moments never go away. As this final week hits its stride, my grade 6s are too. Now that is a scene that I can watch over and over again. In my post Tick…tick…ticked off I rail against media making claims that teachers are holding film festivals during the last weeks of school. The last weeks in a classroom cannot be taught on auto-pilot because there is still a lot to teach, discover, and share. So contrary to a public broadcaster’s opinion, the kids and teachers have not “checked out”. Sorry I’m not sorry to burst this bogus bubble folks, but the kids will have to sit on their own couches over the Summer if they want to watch a movie. Admittedly, I was prepared for another battle as June approached. However, this year, the same broadcaster brought forward a more appreciative stance towards educators, and in doing so took time to honour the hard work and dedication of our profession. Listeners heard stories of impactful educators as well as memorable students. Hearing these simple affirmations have made these last weeks, much more enjoyable. Once again, an encouraging word makes all the difference. With 450 minutes or less of instructional time left to count down on this year’s clock, I know most teachers are looking forward to every minute. I hope that you do too.